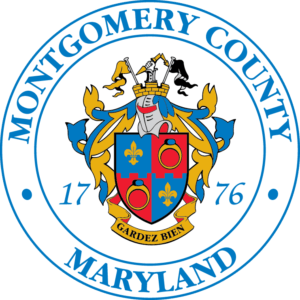 What is Maryland’s Energy Tax Free Weekend? This year, Shop Maryland Energy weekend is February 16th – 19th and shoppers will get a break from the state’s 6% sales tax when they purchase qualifying ENERGY STAR products. ENERGY STAR is a program of the Environmental Protection Agency that labels appliances and products has high-efficiency. ENERGY STAR products save you energy (and money). The ENERGY STAR program also delivers the technical information and tools that organizations and consumers need to choose energy-efficient solutions and best management practices. The sales and use tax-free weekend, called Shop Maryland Energy, takes place in February and applies to the sale of a qualified Energy Star product or a solar water heater that is sold between 12:01 a.m. on the Saturday immediately preceding the third Monday in February and 11:59 p.m. on the third Monday of February. Qualifying ENERGY STAR products will be exempt from Maryland’s six percent sales tax. A list of exempt and taxable items is available on the Comptroller’s Web site at www.marylandtaxes.com, or by calling the Taxpayer Service Section at 410-260-7980 in Central Maryland or toll-free 1-800-MD TAXES from elsewhere. 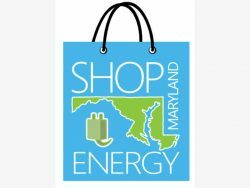 What items will be be exempt during Shop Maryland Energy Weekend? Only air conditioners, clothes washers, clothes dryers, furnaces, heat pumps, standard size refrigerators, compact fluorescent light bulbs, dehumidifiers, boilers and programmable thermostats that have been designated as meeting or exceeding the applicable Energy Star efficiency requirements developed by the U.S. Environmental Protection Agency and the United States Department of Energy and are authorized to carry the Energy Star label are exempt during the Shop Maryland Energy weekend. In addition, the exemption applies to the sale of any solar water heater. Other types of appliances and equipment do not qualify for exemption even though they may also carry the Energy Star label. Will used items also be exempt? Yes. As long as the product is a qualifying ENERGY STAR item or a solar water heater, the exemption applies regardless of whether the item is new or used. How will I identify ENERGY STAR products? ENERGY STAR qualified products are affixed with a label on the product or its packaging. However, only specific items listed as exempt will qualify for the tax-free purchase. A list of Energy Star items may be found at the following Website: www.energystar.gov. What are some examples of items not included in the tax-free weekend? Wine and dorm-sized refrigerators, microwaves, dishwashers, stoves, windows, doors and other building materials. To learn more visit www.marylandtaxes.com or by calling 1-800-MD-TAXES. Does the exemption apply to catalog and internet sales as well? Yes, provided the sale is completed during the tax-free weekend. A completed sale means the retailer has taken an action to immediately fill the order and the customer has paid for the product. A product that must be back-ordered where the buyer is not billed until the product ships will not qualify for the exemption. What kind of records must vendors and buyers maintain? Both vendor and buyer must maintain records that support that the product qualifies as an Energy Star appliance and was purchased during Shop Maryland Energy Weekend for a period of four years from the date of purchase. This requirement is in addition to all other record-keeping requirements under Maryland law. Is there a limit to the number of qualifying purchases I may make during Shop Maryland Energy Weekend? No. You may make as many qualifying purchases as you wish and the exemption will apply. One comment on "What is Maryland’s Energy Tax Free Weekend?"